Such a moratorium is not directed against individuals but against Israeli institutions which provide support – both moral and practical – for a racial system within Israel and an illegal occupation of Palestinian territories. The comparison is with South Africa. Just as blacks in South Africa called for sanctions against that country, so have Palestinians under Israeli control called for sanctions against the Israeli state and its institutions. It is no coincidence that modern day South Africans are among the strongest supporters of actions that will peacefully end the brutal racially-based regime in Israel, just as the apartheid regime was toppled. Groups across the world have heeded the Palestinian call for an academic boycott. The British Academic union NAFTHE recently supported the academic boycott of Israel, followed by the Canadian Union of Public Employees (CUPE). On July 10th, the Congress of South African Trade Unions (COSATU), explicitly drawing on their own struggle against apartheid, called for a boycott of Israel. 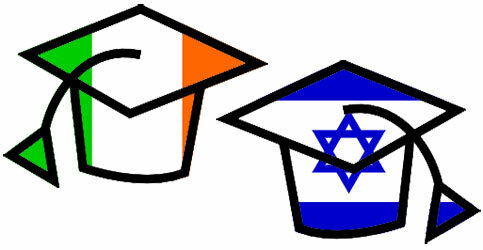 Moreover in Ireland, the Irish Congress of Trade Unions has already adopted a position of supporting political and economic sanctions on Israel – a position taken at its biennial conference in 2005. Irish parliamentarians too, at a specially convened meeting of the Joint Committee on Foreign Affairs on August 4th, unanimously called for the imposition of sanctions on Israel. Madam – There is widespread international condemnation of Israel’s policy of violent repression against the Palestinians in the Occupied Territories, and its aggression against the people of Lebanon. The Israeli government appears impervious to moral appeals from world leaders and to longstanding United Nations resolutions.